Where do we stand on the matter of sustainable development? If you ask sustainability activists and scientists, you often hear sobering facts and considerable disappointment concerning the achievements so far. 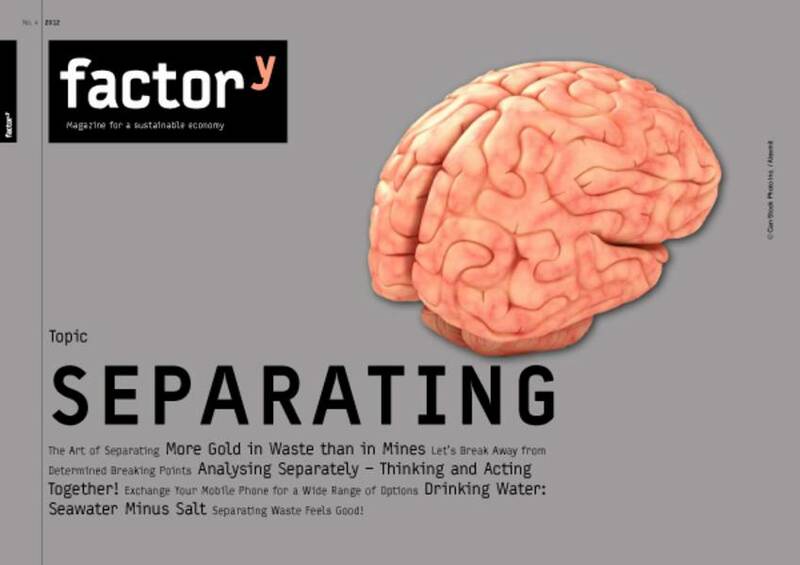 The factory magazine Sisyphus collects articles about the sustainable engagement, the beauty of failure, figures to not give up, happy islands, power and the Anthropocene. Flood-related losses can be expected to increase considerably in Germany as a result of climate change, a new study shows. Extreme events like the severe floods along the river Elbe have already illustrated the potentially devastating consequences of certain weather conditions such as severe rainfall events, when continuing intense rain can no longer be absorbed by the soil and water levels in the rivers rise. Without appropriate adaptation, flood-related damage of currently about 500 million euros a year could multiply in the future, the comprehensive expert analysis published in the journal Natural Hazards and Earth System Sciences highlights. “Planetary Urbanism – The Transformative Power of Cities” is the publication of the competition entitled “Planetary Urbanism”, which was launched in 2015 as the second „Critique of the Present“ competition after the first competition „Out of Balance“ in 2012 by the architecturial magazine ARCH+. Sustainability is always connected to gender equality. Thus, during transformation to a sustainable society the gender perspective should be focused more often. The new magazine issue S/he features articles about subtle and not so subtle gender distinctions: gender specific products, shopping aspects, women's sustainable businesses and family oriented working concepts. Pricing CO2 could help to end the deadlock of international climate policy. Finance ministers around the world would have reason enough to favor carbon taxes or emissions trading even if they do not take into account the risks resulting from unabated greenhouse-gas emissions, a new study shows. While the outcome of the world climate summit in Paris is uncertain, national governments and their economies can profit from taxing CO2 instead of taxing capital or labour – irrespective of whether or not other countries cooperate. Forget the COP or is the Climate Summit in Paris a realistic chance for change? Since the beginning of the UN-Conferences the worldwide greenhousegas emissions increased for 60 percent after all. The Wuppertal Institut positions itself with a catalog of postulations to the Conference of the Parties (COP). Though most countries around the globe agree that warming must be limited to 2 degrees Celsius to avoid the raft of climate risks, they clash about who should do what to reach this target. Hence the issue of allocating greenhouse-gas emissions reductions will be key for the outcome of the world climate summit COP21 in Paris. Scientists now found what amount of emissions reductions it takes for a major economy to lead out of the climate gridlock. 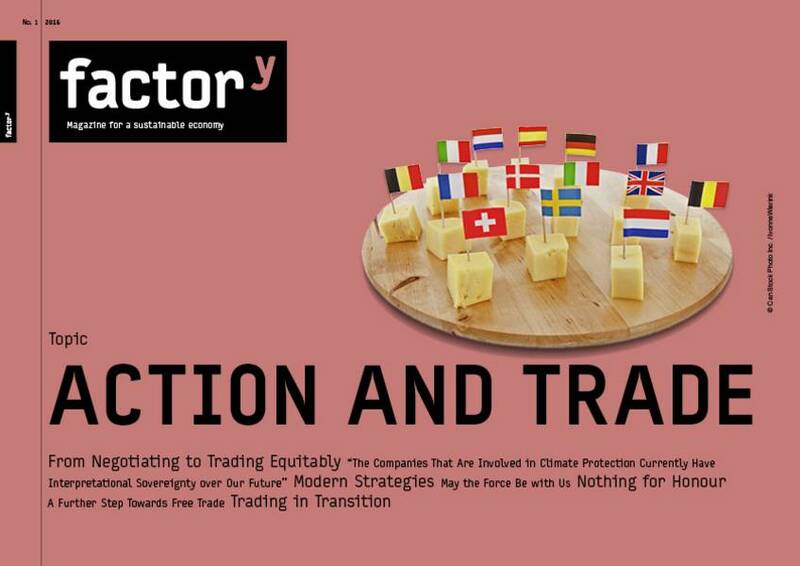 They conclude that effectively limiting climate change is possible if a major economy acts as a forerunner, while other nations follow – and, importantly, by doing so they do not have to agree on common criteria for fairness. 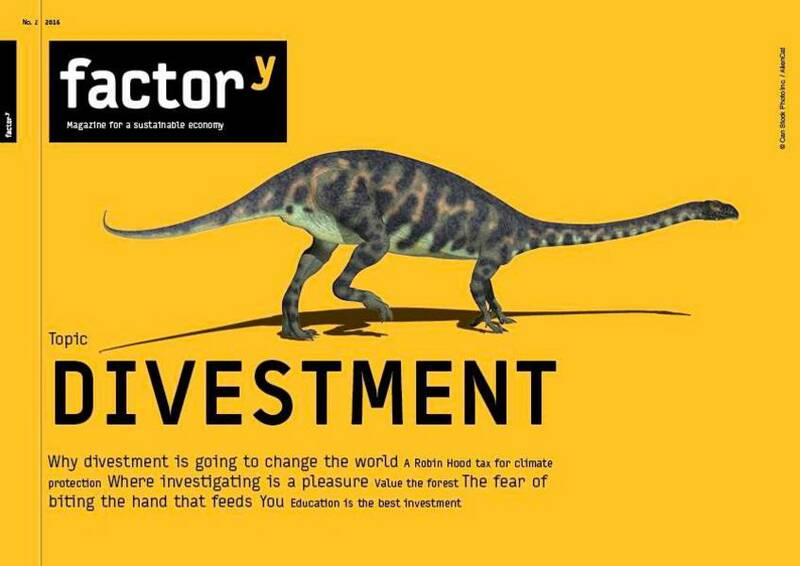 factory magazine number eight in english language is published. It is titled in the hyphenating way "Wish-for-Happiness", is available online in a few articles and in complete illustrated PDF version for download. 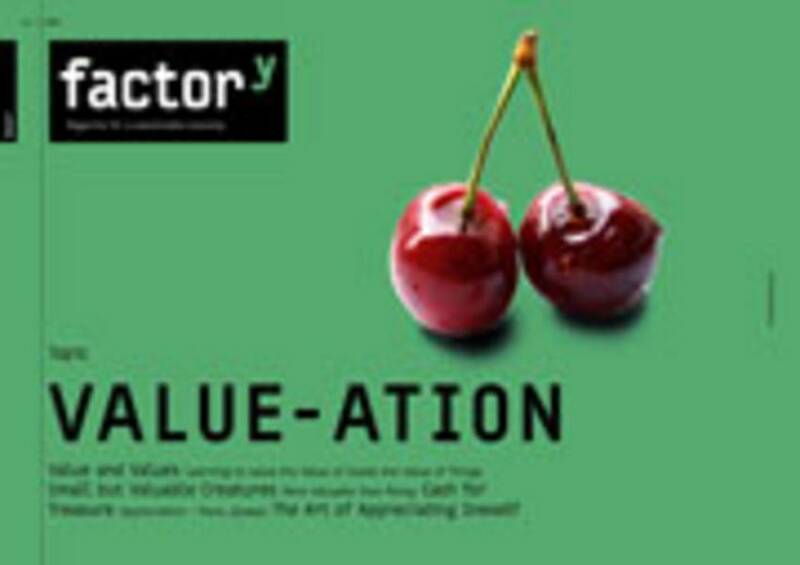 Available now as an PDF-magazine and with some articles online is the sixth issue of factory called Value-ation. It deals with all aspects of appreciation of tangible, personal and social values in the context of sustainable economy.